Slimvance is a supplement for women made by BodyDynamix and sold on certain online outlets including Amazon and GNC. If you’re looking to find out all of the important information about the Slimvance formula, then you’re in the right place. 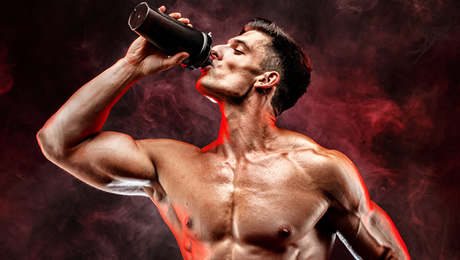 We’re going to take a close look at this particular supplement as we look to try and determine where it ranks in relation to the best products on the market right now. Although there is no mention of it in the official marketing material, Slimvance seems to be marketed at women. The purpose of this Slimvance review is for us to take a close and detailed look at this product to see where it stands and see if it deserves a place in our list of the best so-called ‘fat burners’ on the market at the moment or not. 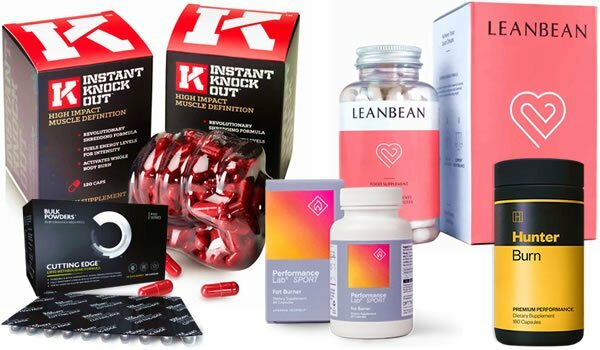 There are so many supplements on the market these days that it can be tricky to pick out the very best products out there. So we’ve made it our mission this year to review as many similar supplements as possible. This review is going to focus on the Slimvance ingredients formula, the customer reviews and the doses as we look to see where this product really ranks. So let’s now get cracking by find out a little bit more about the Slimvance formula. As we’ve already deduced, Slimvance is a supplement marketed at women to help you to achieve your goals. 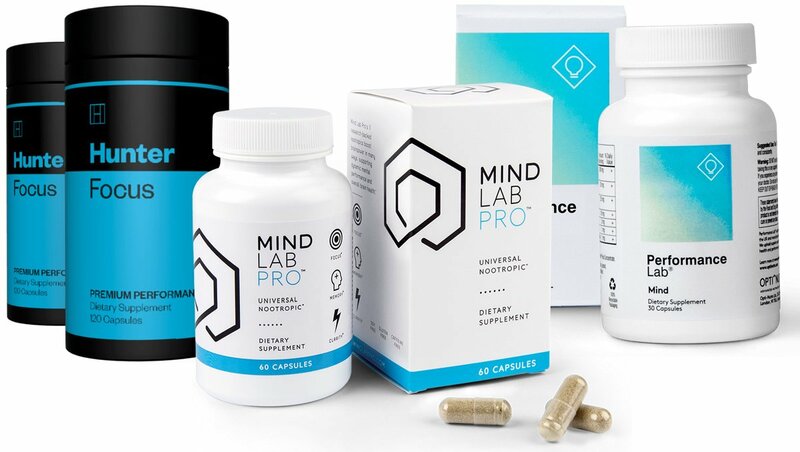 It claims to be one of the leading supplements on the market right now and says that it will increase your chances of success. The official listing on Amazon says that Slimvance uses something called a “patented herbal blend” to help give you support on your journey towards hitting your goals. 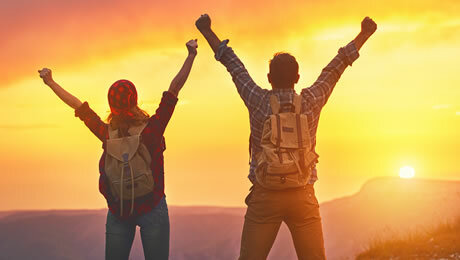 We all know that taking responsibility for your body is not an easy thing to do, and that’s why picking a high quality supplement can help to support you on your journey – when combined with the correct lifestyle choices. 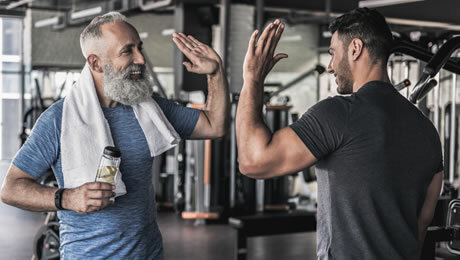 Of course, exercise and diet are the two main things to get right first if you’re looking to make a change – but adding a good supplement can help to support you on your journey. The official Slimvance listing on Amazon says that you can feel “confident that it will work” and that it will help you to achieve your goals. Slimvance claims to work in three main ways to achieve its effects. This all sounds pretty good to us so far. Slimvance is certainly making all of the right noises when it comes to being a quality supplement in this category. 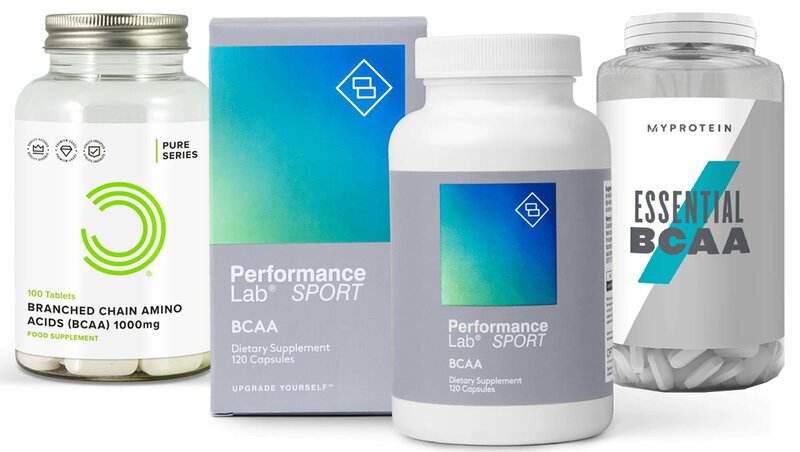 However, after reviewing so many supplements, we’ve learnt to ignore the marketing hype and focus on the important aspects – the ingredients formula and customer reviews. So let’s now take a close look at the Slimvance ingredients formula in a bit more detail as we look to see just how good this product really is. Let’s begin this section by taking a close look at the actual Slimvance ingredients label as printed on the box. Before we drill down into the main ingredients in Slimvance, it was disappointing to see that this product uses a proprietary blend for some of its ingredients. That means that a selection of the substances used are contained within a ‘blend’ and that means that we don’t know the doses of the individual ingredients used. We generally advise that you stay away from supplements that use proprietary blends, as it means that you literally don’t know how much of the ingredients is used in each serving. • Vitamin B3 – Referred to on the label as Niacin, this is a decent inclusion in the Slimvance formula, and it’s good that it isn’t part of the proprietary blend. As you probably already know, B Vitamins are important for a number of reasons, so it’s good to find them in these kinds of supplements. A decent start. • Moringa Oleifera – This is not an ingredient we’ve come across in too many other similar supplements before. It’s a plant extract that contains a number of potentially beneficial nutrients. The official marketing material on the GNC website says that BodyDynamix have included it because it could help with certain things. It’s not a bad inclusion in the formula, but we would have preferred to see a more commonly used ingredient used in its place. • Murraya Koenigii – Another name for an extract which comes from Curry Tree leaves. Again, it’s not one of our top rated ingredients, but BodyDynamix say that they’ve included it because it contains some nutrients. While that’s good, there isn’t much evidence suggesting that it will actually help you with your goals. After all, that’s the whole point of this product. • Curcuma Longa – The ‘scientific’ name for Turmeric. It’s a flowering plant belonging to the Ginger family. Turmeric is often found in a lot of the top products in this category. It’s not a bad inclusion. Turmeric is one of the main ingredients in our current top rated female supplement Leanbean. • Caffeine Anhydrous – A good ingredient for any supplement in this category. You most likely already know all about Caffeine. It’s a common ingredient in the top products in this category, so it was good to find it in the formula. Each serving of Slimvance uses 200mg of Caffeine, which is a sensible amount. 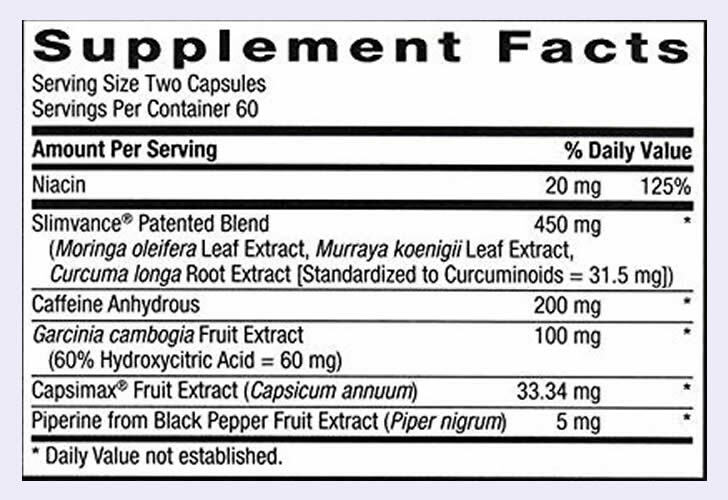 • Garcinia Cambogia – Another decent ingredient that’s also found in our top rated female supplement. It’s an extract from a tropical fruit that has been claimed to help with certain things. You can also sometimes find it as a standalone supplement in health stores. • Capsimax – This is a branded version of Cayenne Pepper. Cayenne is one of our favorite ingredients in a supplement in this category. You’ll find it in a lot of the popular products in this category. It’s great to see it included in the Slimvance formula. • Piperine – This is a branded version of Black Pepper Extract. It’s an ingredient that we love to find in most supplements (and any supplements for that matter). 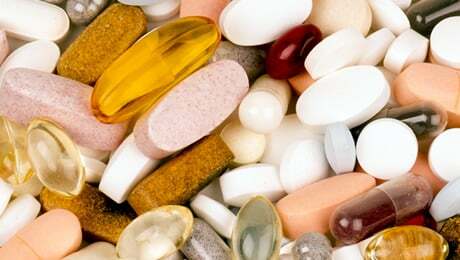 It is usually added to the top supplements in small doses. So, the Slimvance formula certainly contains a few decent ingredients, such as Cayenne Pepper, Turmeric and Black Pepper Extract. However, it still does omit some of our favorite ingredients. Green Tea is one of the best ingredients for a product in this category. You’ll commonly find it in the top products in this category. It was a shame not to find it in the Slimvance formula. Meanwhile, Glucomannan is one of our favorite ingredients for a supplement in this category. It’s a dietary fiber taken from the root of the Konjac plant that is commonly found in the top products in this category. 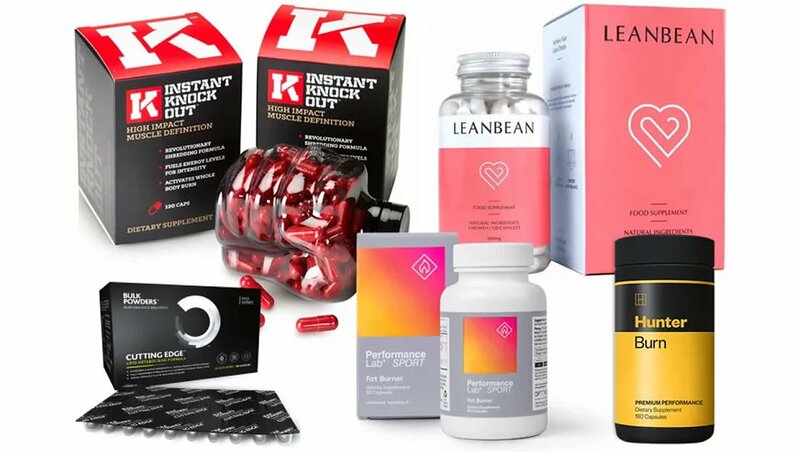 You can see our updated guide to the leading five supplements on the market right now by visiting the link shown below. Are there any Slimvance side effects? The Slimvance formula looks like a pretty safe one, so you shouldn’t have to worry too much about the prospect of suffering from any side effects from this product. The Caffeine content is a reasonable amount at 200mg per serving, which shouldn’t be enough to cause any side effects such as the jitters or energy crashes. Despite the formula looking pretty safe to us, we do recommend that you do some of your own research into each of the ingredients before taking any new supplement for the first time. We do also recommend speaking to your doctor before taking any new supplements for the first time. Each bottle of Slimvance contains 120 capsules, which is a month’s supply. The directions are pretty simple: you take two capsules, twice daily. They say that you should take the first serving in the morning, and then the second serving four to six hours later. Of course, because this supplement uses quite a lot of Caffeine, it’s a good idea not to take it too close to bedtime. We did some digging online to find some Slimvance reviews. At the time of writing, there were 85 reviews on Amazon, and it had an average rating of 2.7 out of 5 stars. One happy customer said that Slimvance is a “wonderful” product and that it helped them to hit their goals. However, one less happy customer said that it didn’t help them at all and warned other customers not to waste their money. Is this the best supplement for women? Not in our opinion. Slimvance does have a few good ingredients, but the fact that it uses a proprietary blend and has mixed reviews means that we don’t rate it as one of the very best supplements for women around right now. Remember to check out our guide to the best five supplements on the market right now by following the link shown below. You should always make sure that you’ve got your diet and training regime on point before considering adding a supplement to your daily regimen. Supplements are designed to be combined with healthy lifestyle choices – and you’re unlikely to see any benefits if you’re not already training hard and eating right. The above said, if you’re making the right lifestyle choices, then adding a quality supplement can indeed help to support you on your journey. That brings us to the end of our Slimvance review. Overall, we think that this is an OK supplement, but we don’t currently rate it as one of the very best on the market right now. To summarize, there are some better options out there if you’re looking for a quality supplement to help support you on your journey.